US$54.99. Free local shipping. ezbuy shipping S$7.98 (0.75 kg volumetric weight after repack; 2.87 kg before). This includes some USB cables. Battery is the Achilles heel for modern devices. Useful Lithium-ion battery life is around 1.5 years (500 recharge cycles). After that, capacity is only about half. Devices have a far longer lifespan than that. They are said to last longer if they are charged to 80% instead of 100%. Old Lithium-ion batteries also get bloated if you over-charge them. You have to proactively stop charging them once they are full. Some decent game money at last! So I failed to get the Dice Tower replacement paper money. There are two things I look out for: normal looking bills (not too plain nor stylish) and standard denominations (e.g. 1, 5, 10, 50). Two sets: notes in small ($1, 5, 10, 50) and large (100, 500, 1000, 5000) denominations. Each set has 96 cards and costs US$10.99. 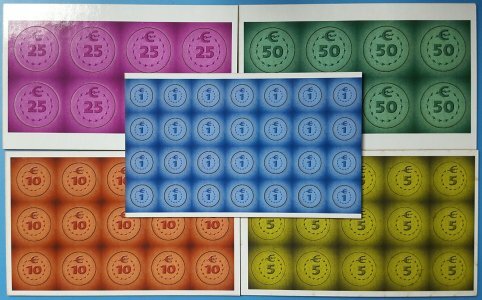 It would have been even better if each denomination has a different image (as do real bills). OTOH, they have Power Grid themed coins for US$12.99. One set has 148 coins (56x $1, 30x $5, 30x $10, 16x $25, 16x $50). Sold! TGC wants US$16.39 + US$2.86 packaging/insurance to ship to Singapore, so I had them ship to ezbuy for US$8.79 + $0.97 insurance. ezbuy shipping S$3.99 (0.50 kg). 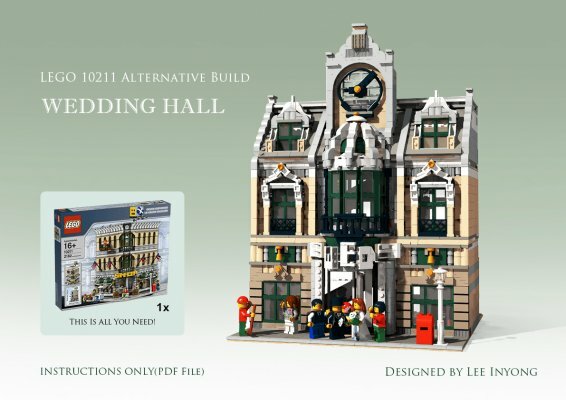 It is "easy" to create your own Modular Building, but using only pieces from a single set? That is why these are impressive. Most people, including me, do not realize Cafe Corner has gray and blue pieces, because the red is overwhelming. 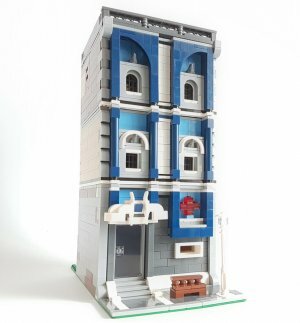 In fact, there is a small blue apartment alternate build on the back of the box. 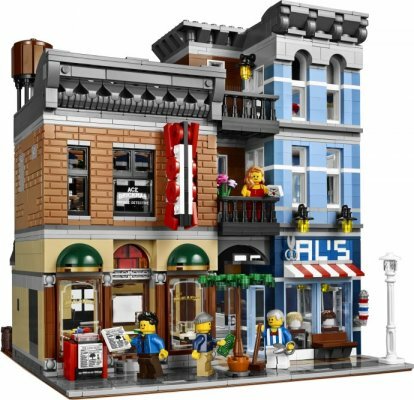 The early Modular Buildings can be turned into other buildings "more" easily due to their blocky nature (more bricks). GE looks the best of them, IMO. The signature Pet Shop colors are all hidden at the back. Very clever. This blew my mind the first time I saw it. A bridge can be repurposed for a building! I have no interest in Disney Castle, but this makes me reconsider. Not as impressive as the above two, but still impressive. There is a obvious shift starting from Parisian Restaurant. Rule-of-thumb: 0.85g/pc is when the set starts to feel small. 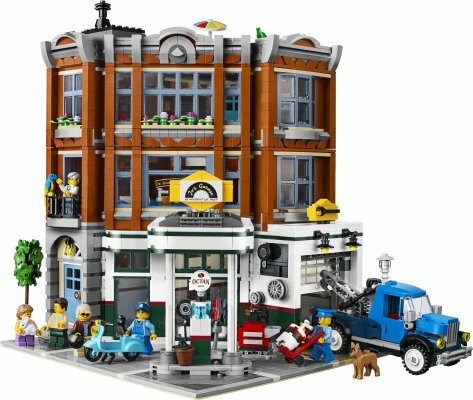 The last Lego Modular Building that I owned. It is a little small and short. It has an attached small laundry shop as a joke (money laundering) and to add variety. 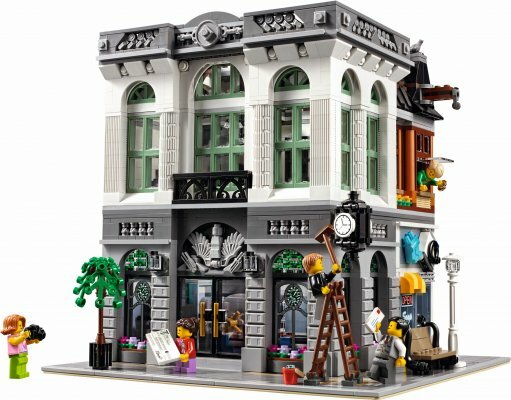 Brick Bank needs to be the size of Grand Emporium to be imposing. I call it... the Grand Brick Bank! 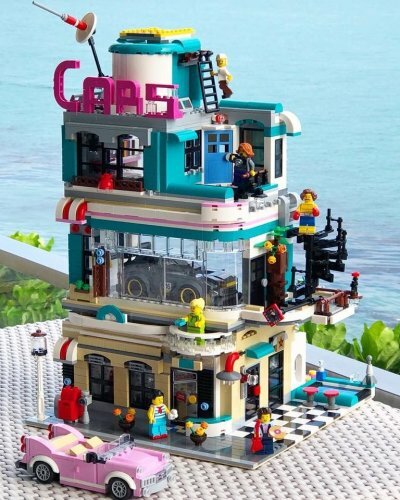 It was even better when someone quickly came out with an unofficial alternate build, a three-storey car showroom. 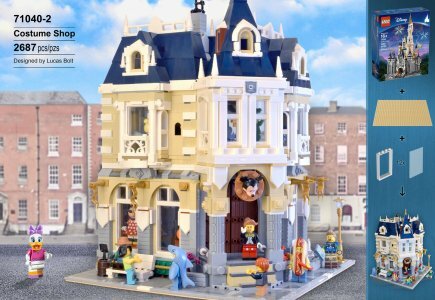 It is a 2-in-1 Modular Building! But I did not buy it, nor the 2017 #10255 Assembly Square. It looks a little "City" to me. It is inevitable. First, TLG has been incorporating play features to their "display-only" sets. Second, there is a convergence / mix of themes. Modular Buildings can do double-duty as very high-end City buildings — we saw some MB-lite City buildings in the past. What gives? Three main reasons: price, space and fatigue. After a while, they look same-y. 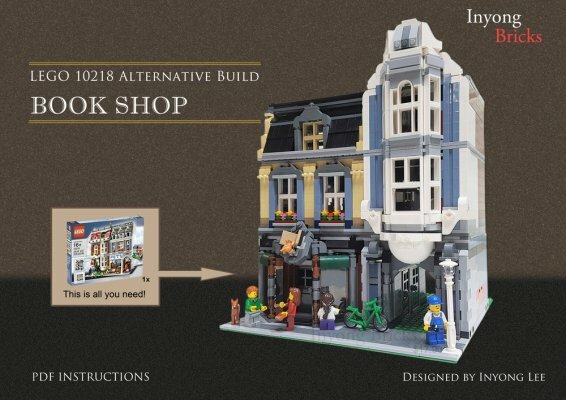 I did not buy a single Lego set in 2018. 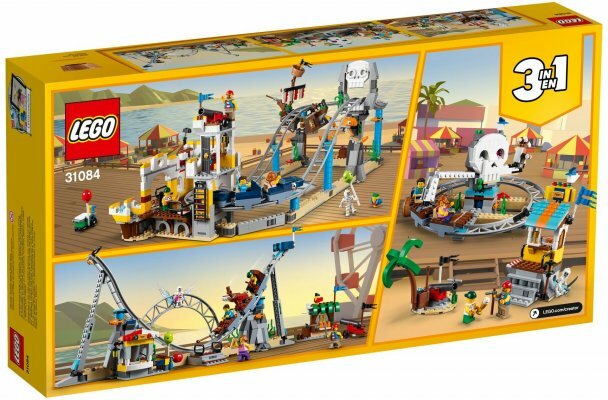 The one I came closest to buying was the roller coaster set. Not the enormous #10261 Roller Coaster (4,124 pcs @ US$380), but its scaled-down Creator 3-in-1 version. All three builds look great — it is worth getting three sets! It costs S$120, but with a caveat: no 20% off at Metro (no blue tag). Count me out. I'm usually interested in 3-in-1 houses, but the offerings in 2018 were very weak. I'm past saturation point. Going forward, I will be more choosy with 3-in-1 houses. 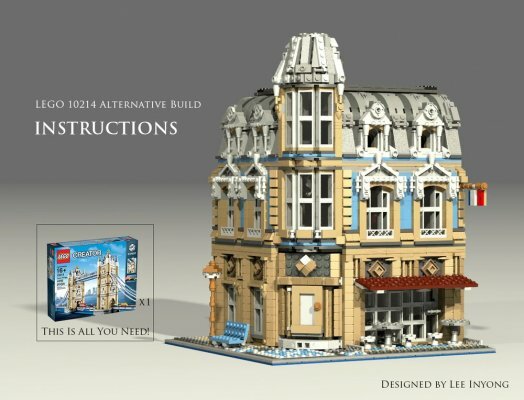 I will probably go for bigger 'regular building' sets only. Bigger sets are simply more impressive. One criteria is their potential to be upscaled to semi-Modular Building. Houses, in particular, are being diluted due to the need for 'play' feature. Houses usually come with a small vehicle; that is fine. But it is now common that only one of the three builds is a house, the other two are vehicles. 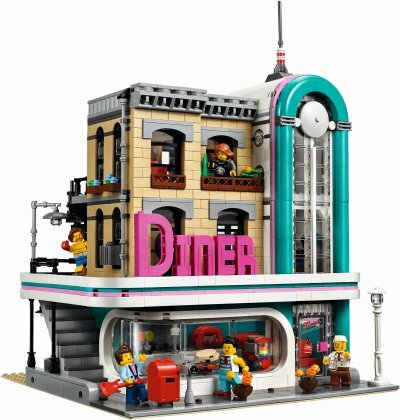 Lego sets are now a little too small and priced a little too high for my liking. 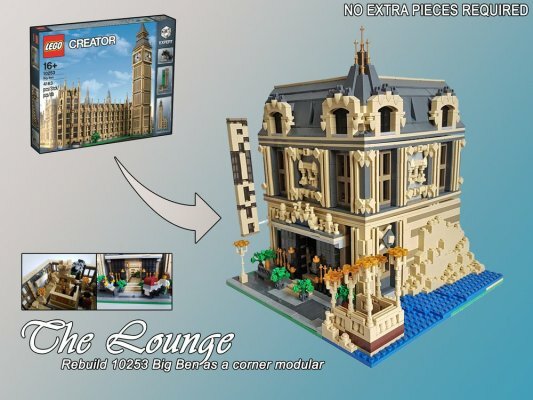 Some pedantic people will point out sets are "bigger" than ever, and price-per-piece is still the same. These people missed the point purposely. Sets are getting smaller — physically. They have more pieces and are getting more detailed with the use of small parts. The Dice Tower uses Kickstarter to raise money every year for its operations. 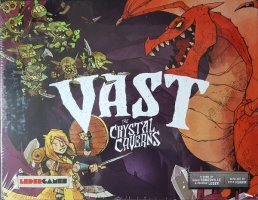 IMO, these guys (Tom Vasel, Sam Healey and Zee Garcia) have been boardgaming so long that they have lost some of their zeal. They need to take a break, especially from Dice Tower. Tom's strategy is to pump out videos. He can put out one or more videos a day. It is a hectic pace! Now he is shifting heavily towards live content. I just watched one of their recent Top 10 videos: Top 10 Things that Excite Us About New Games. I love to listen to their Top 10 videos. It just does not have their old energy, enthusiasm and banter. I considered supporting them this year, but in the end I did not. 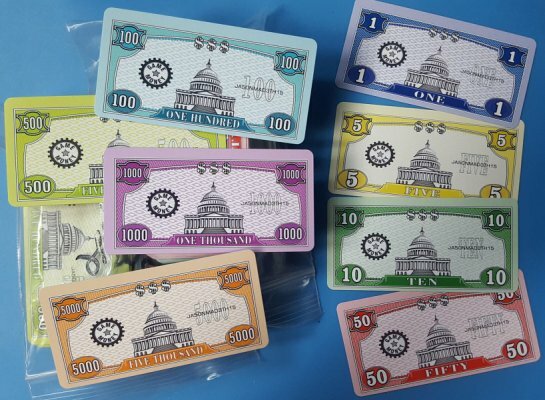 I missed their 2018 set of paper money (US$30 add-on). It first appeared in 2016 and took three years to sell out. How many Hyflux PS bagholders? The percentage adds up to 99.97% in the original table. It contains the first three columns only. The last two can be derived. It is quite obvious the top two buckets have only one applicant each. By right they should be allocated $1.131 mil and $1.325 mil, but my figures are around 1% short (using Public Offer size of $329 mil). There are around 14,483 applicants in total. 7,567 invested $10k or less. The exclusive club starts at S$500k. Hyflux case study on "risk-free"
Originally, S$300 mil was planned: S$50 mil @ $100,000 (placement), S$230 mil @ $2,000 (public), S$20 mil (reserve). Placement tranche received S$217 mil on first day of launch. Tranche was upsized to S$165 mil and closed. Due to high demand of S$368 mil, Public tranche was increased to S$329 mil and Reserve tranche reduced to S$6 mil. It is hard to fault someone who bought Hyflux preference shares in 2011. Their future was rosy at that time. But in 2016, there were warning signs if you cared to look. But most people ignored them. I would have too, if I were looking for high-yield yet "safe" products. Unfortunately, the last point was painfully illustrated just one year later with Swiber (2017) and Noble (2018). Again, risk was ignored in the chase for yield. To compare, structured investment products linked to Lehman Brothers in 2008 affected about 10,000 retail investors. I have two copies of 6 Nimmt!, one of them being the German 20th Anniversary ed. I should not have bought the latter. I have one copy of Take 5! (I use it to play Take 6! solely), so effectively I have three copies. I have the 1999 Avalon Hill German ed and the 1993 Schmidt German ed of Acquire. I have two copies of For Sale. The box edition is surprisingly expensive. I have Galaxy Trucker base game and its Anniversary ed (base game + two expansions). I bought the Anniversary ed first, because the base game was not available on Amazon at that time. I should not have bought one of them. I have two copies of Monopoly: Monopoly (Nostalgia Wooden Box) and Monopoly: 80th Anniversary ed. Both are retro-themed. I should not have bought the latter. I have one variant: Monopoly Deal Card Game. I have HK ed and China KO ed of Puerto Rico. I have two copies of Razzia!. I bought two to form a bigger Ra-like deck. I have two copies of Talisman 2nd ed. I have two copies of Clue: Clue (Nostalgia Wooden Box) and Cluedo (1990). Both are retro-themed. 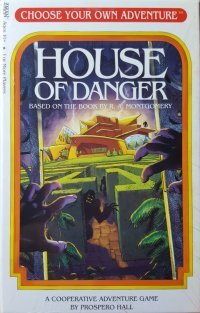 And way too many variants: Clue Master Detective (1988), Clue: The Great Museum Caper, Cluedo Super Sleuth, Cluedo Suspect (card game) and Super Cluedo Challenge! Carcassonne has a ton of expansions, but I did the sensible thing and stopped at the first two. Even so, I play only the base game. I play only the base game. Probably need the first expansion only. That's probably way too many PG maps. I should not have bought the last two. I play only the base game, but RftG was designed with the first expansion in mind. It was split up due to its size / complexity. The base game alone is quite biased towards produce/consume strategy. Talisman 2nd ed: Expansion set (2x, one boxless), Adventure (2x, one boxless), Dungeon (2x), Timescape, City (2x). It's a little overboard, I must admit. I intend to get rid of the entire FFG Revised 4th ed Talisman. It has too many changes from 2nd ed to my liking. I may keep the BI 4th ed as it is mostly a straightforward reprint of the 2nd ed. Need to reconsider if I want these maps. The charm of TtR: USA is its simplicity. I have accumulated too many duplicated board games over the years. I need to put a hard stop to it. Also, I realized I tend to play only the base game. Maybe I should give expansions a miss. 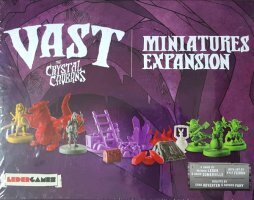 The first expansion is debatable, because it may be bits that should have been in the base game. I have 2nd and 3rd ed of Fury of Dracula. By all accounts, 3rd ed is the better game. Will get rid of 2nd ed. I have two copies of the German 1st ed Modern Art. I should not have bought a second copy in 2017. I also have the extremely low-budget 2004 Mayfair ed as well. No reason to own it anymore. I also have Masters Gallery that is a poor substitute of MA (no auction). Time to get rid of it. I have Scotland Yard 1991 ed and 2004 ed. Probably to get rid of the latter. It has some missing tokens. I have 1st and 2nd ed of Pandemic. It is time to move on. The 1st ed has some missing tokens. I have Power Grid and the Deluxe ed. Maybe I should get rid of the latter since I don't like it that much. This is the Deluxe / Anniversary ed that turns me off Anniversary ed. I finally bought The Resistance after so many years. 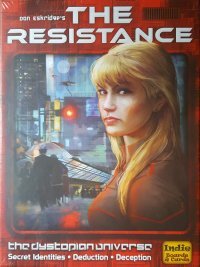 Do I still want to keep The Resistance: Avalon? I have the BI Talisman 4th ed and FFG Talisman Revised 4th ed. Maybe I should get rid of both? :-O They are very pretty, but the old-school 2nd ed artwork is what tickles my fancy due to nostalgia. There are expansions to add the roles from Avalon, but my modus operandi now is return-to-the-basics and keep-it-simple. IMO, the theme is backward. The Resistance is carrying out missions and Government spies are trying to sabotage them. It should be the other way round: resistance spies trying to foil normal Government operations. 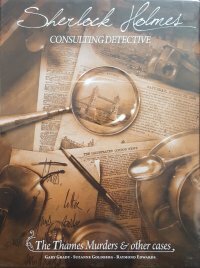 Full title: Sherlock Holmes Consulting Detective: The Thames Murders & Other Cases. Phew! This is the 2017 reprint, of course. It was reprinted once before in 2014. I prefer to play the meta-game instead: I re-construct the entire decision tree to see if the choices make sense and/or are balanced. The problem with CYOA-style game is that branching is "expensive" — untaken paths are wasted — so they are usually shallow or merge back fairly quickly. I'll say you end up visitng 25% – 40% of the total pages per play. It is ironic that fast or optimal play means skipping much of the book. The game tries to limit randomness by having four "sequence points" in the form of five chapters. The choices are all within a chapter. Each chapter has one entry and one (winning) exit point. The bar to buy board games is now absolutely very high! I'm thinking of pruning my (quite small) collection due to space constraints. This entry was first drafted in Sep 2018, but I kept putting it off. I bought these games in Aug 2018. I was introduced this in a Top 10 list when Zee Garcia (of Dice Tower) said Queendomino replaced this for him because it kept the same game play and then added some more. 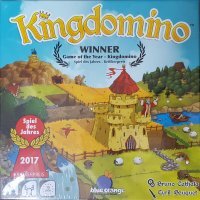 I checked out both games and I like the simplicity of Kingdomino more. It's like Ticket to Ride. I like TtR: USA over others in the series because of its simplicity. There is elegance in simplicity. In hindsight, US$45 is really expensive. Third-party seller, fulfilled by Amazon. Sometimes available for US$21.09. I bought the miniatures as well... they are pretty well made. I do not intend to get any (actual) expansions. My motto now is, just the base game if it works well enough. 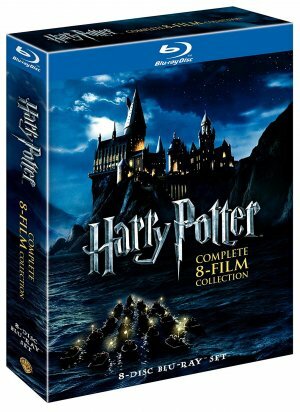 K-I-S-S.
A no-frills 8-film collection for casual Harry Potter fans. (I'm not even one of them.) No extras are included. I only watched the first three films. I don't think the first film is particularly good (it is too long and slow), but I like it over others for its "old-school" charm. It also brings the world of HP to life for the first time. Blu-ray MSRP US$99.98, Black Friday deal US$27.49. Usual price is all over the place. Was US$39.96, now US$54.96. For big-budget films, when they release properly remastered 4K UHD blu-ray, they usually scale it down to blu-ray as well. The only loss is the extra resolution, which may not be there in the first place. In the past, I was skeptical of blu-ray mastered DVDs (i.e. blu-ray scaled down to DVD) because of DVD's limitations (MPEG-2 at 8 Mbps), but blu-ray has ample bandwidth (40 Mbps) and more efficient encoding (AVC). Harry Potter's remastered 4K blu-rays come with normal blu-ray discs, but they still use the original encoding. In mid-2018, I discovered that Thomas & Friends cartoons were available on DVD by seasons/series. Before that, I had only seen "random" collection per DVD. So I set out on a quest to borrow the entire series from NLB and rip them. BP, CCK and SK libraries had very messy DVD collections. The T&F DVDs were scattered all over. I had to comb the entire children DVD section to find them. Bedok and Seng Kang are especially far for me. :lol: I went down to SK library only once. Another time, I paid $1.50 to transfer a disc from there instead. Series 1 to 11 from NLB are Classic Collection, meaning un-remastered video. I prefer it, actually. I borrowed and ripped the US remastered version of Series 1, The Early Years, too. For some reason, NLB does not have Series 13–17. I did not consider wireless chargers because they are slow and expensive. What if they are not that expensive? 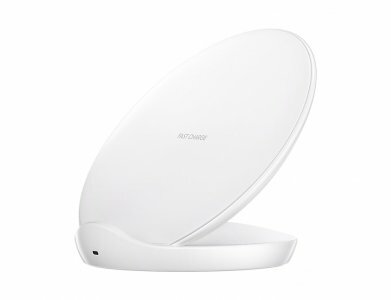 The latest Samsung wireless charger model is EP-N5100. Output 1A @ 5V, 1A @ 9V (fast). To search on TaoBao: 三星 五代 无线 充电器 or 三星 原装 五代 无线 立式快速 充电器 to be more specific. As cheap as 109 yuan (US$15.81) with bundled cable and fast charger, but does not ship to Singapore. Cheapest that can ship to Singapore is 158 yuan (US$22.92). I still think wireless charging is slow, but it sure is convenient to place the phone on the table and have it charge automatically. No need to plug and unplug. I like the slanted design as the charger can act as the stand. However, going forward, I will be buying QC3.0 / USB-C chargers. I'm looking for one that has 2 QC and 1–2 USB-C ports. Most have only one QC port. USB-C must have PD (Power Delivery). Each USB 2.0 port up to 2.4A. USB-C 3A @ 5V (non-PD). Total 5.6A (28W). 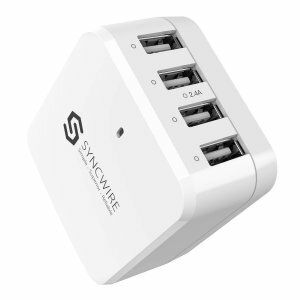 Even though there are four ports, you can only charge two at full speed (2.4A + 2.4A + 0.8A). 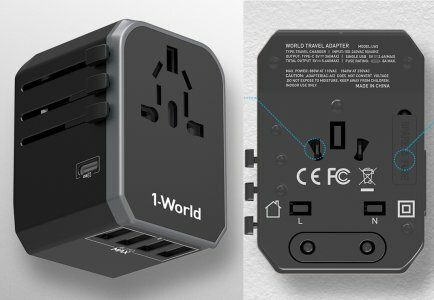 This travel adapter has the highest rated integrated USB chargers. Other integrated chargers are rated at 4.5A or even 3.4A (2.4A + 1A). I prefer standalone USB chargers, but I must admit integrated USB chargers are very convenient — especially after my recent Oz trip fiasco. :blush: Also, many have very low total charging power (e.g. 2A across all ports), but some are quite decent. The US and China/Australia pins are shared. For the latter, just twist the pins. I like that. 105 yuan (US$15.30) on TaoBao. 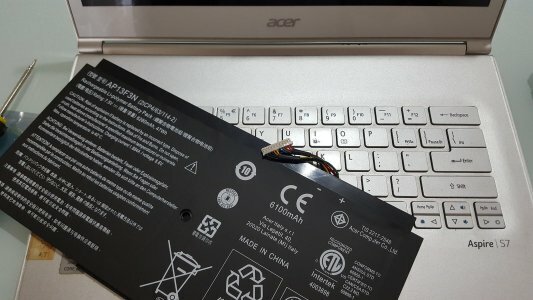 The same charger is priced at S$30 locally under other brands. Each port up to 2.4A, total 9.6A (2.4A x4). Charge four devices at full standard speed. Other chargers are either 8A or 6.8A total, they can only charge 2 – 3 devices at full speed (e.g. 2.4A x2, 1A x2). Default US plug, comes with detachable UK and EU plugs. No China/Australia plugs. US$19.54 on Amazon (sold by Syncwire Products). * 2009 is only half-year. I expect it to drop further this year. Last year, I used my mobile phone to surf net >80% of the time compared to using a PC/notebook. Using a notebook feels like work. And with that, it is harder for me to write my blog. I need to find a way to write entries on my mobile phone. In theory, this is even more convenient, because I can connect to my home server from my phone anywhere any time.